The Top Gear Festival happening this weekend in Durban consists of an action-packed livestadium show with International stunt drivers and a whole host of special effects, jaw-dropping stunt maneuvers and customised cars, not to mention, the best in comedy – and who else better to entertain the crowds than our very own favourite cousin, Barry Hilton! 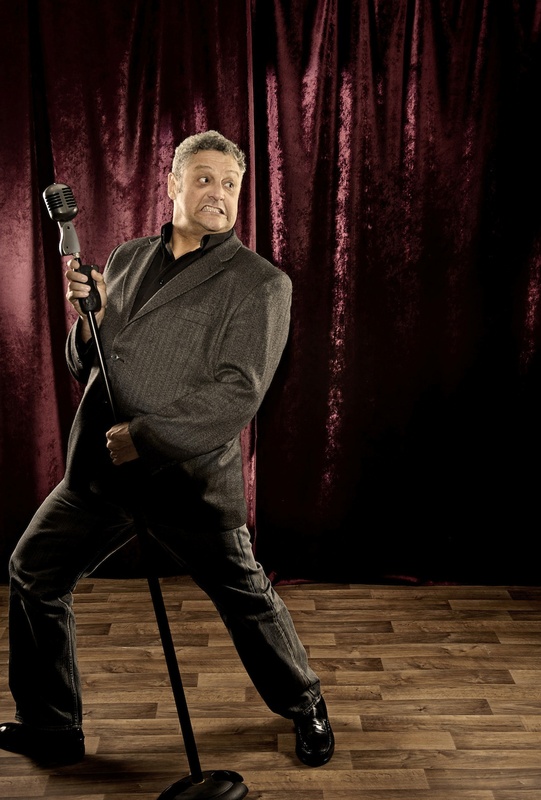 With a track record of 30 years in comedy, Barry Hilton has raised the world’s laughter level considerably. His delightful knack of finding the ludicrous and the humorous turns daily situations on their head to make us laugh at life. His face is as funny as his repartee, with lugubrious looks tailor-made for mirth. Barry’s gregarious personality makes him a people’s person, happy to engage with the audience before and after his shows. Barry is an old-school comedian who’s as streetwise as any youngster. He’s remained at the top by continually coming up with fresh material - and by having six children to keep him hip and happening. His act is intelligent, observational, impeccably timed and never crude, sexist or racist. Just enormously funny. That universal appeal, coupled with a rigorous training on the comedy circuit alongside the likes of John Cleese, Billy Connolly and Bob Monkhouse, give him a professionalism welcomed by any comedy club or corporation - punctual, polite, always topical, and always a strong performer. Barry lives in Hermanus in the Western Cape, and has become a national icon in a country where a new generation of comics is beginning to find its voice. This year the industry paid tribute to Barry with A Lifetime Achiever Award, presented at the Annual Comics Choice Awards. His popularity extends far further, however. Last year he became the first South African to perform at the prestigious Harrah's Improv at Caesars Palace in Las Vegas, headlining four shows. This year Barry has a whirlwind performing tour of the UK and he will open the Hong Kong 2014 Comedy Festival, followed by gigs in Singapore and Macau. He’s delighted the notoriously tough crowds in London’s Clapham Grand and his hilarious performances in Dubai saw him shortlisted alongside John Cleese for the Best Comedy Act in Dubai's Timeout Nightlife Awards 2013. In between, he is a corporate entertainer, motivational speaker and actor. He has starred in two movies, produced five stand-up comedy DVDs, hosted TV talk shows and featured in numerous TV commercials, most memorably as the face of Savanna Cider for more than a dozen hugely popular adverts. His universal appeal has created a global fan base through tours taking in America, Hong Kong, London, Ireland, Amsterdam, Switzerland, Australia, New Zealand, Mauritius, Africa and even at sea on international cruise liners, highlighting his ability to cut through all boundaries and appeal to any nationality, race or age. He was the first South African to perform at London’s Comedy Store in 2001, and 10 years later the first to perform at Sydney Comedy Store. He fills 4,000-seat theatres with his solo shows, yet is just as adept at adding comic class to corporate events as the Master of Ceremonies or the headline act. Barry is not only one of the most experienced and versatile comedians around, he’s also one of the funniest. Three decades on stage, coupled with six kids, two ex-wives, a new wife, a few dogs, a penchant for fishing and a lifetime of living in a crazy, beautiful country have given Barry a lifetime of laughter-inducing experience.